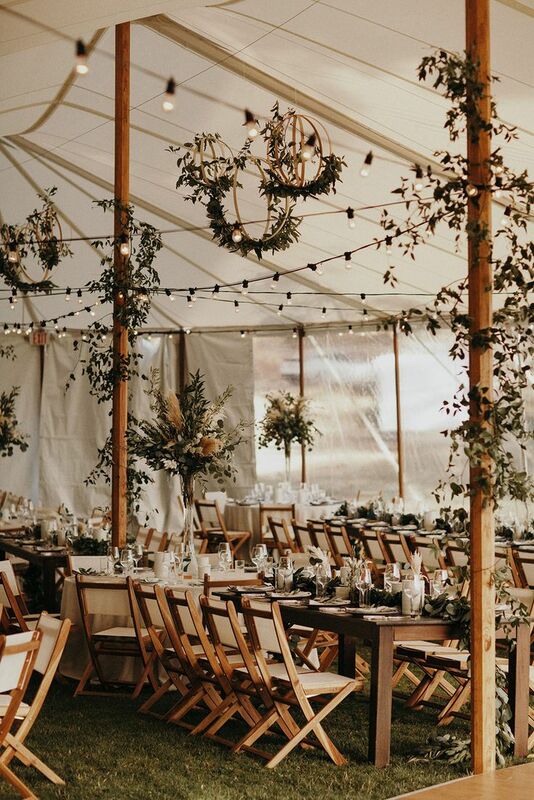 Rustic Wedding Tent with Tons of Greenery. Modern Reception Wedding California. Sonoma Coast.